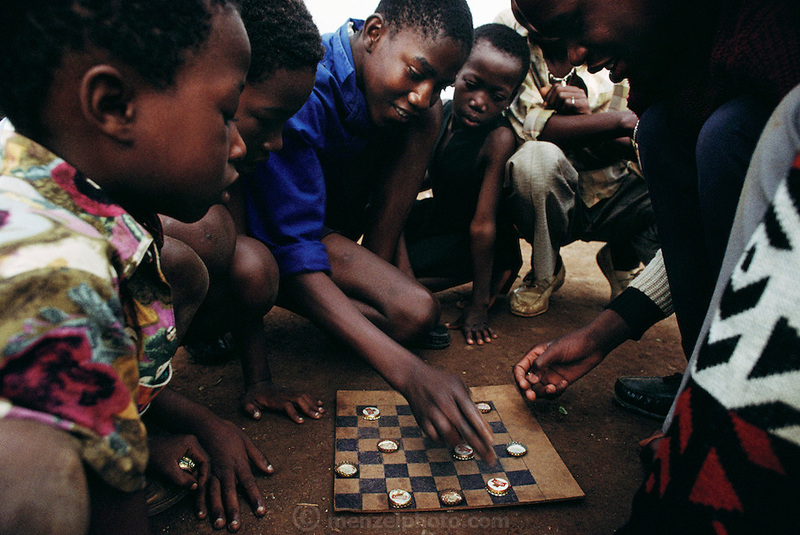 A group of children on the street play checkers with beer bottle caps on a homemade checkerboard in Soweto, South Africa. Soweto is the nickname of Southwest Township, a sprawling lawless community outside Johannesburg. Published in Material World on page 26. South Africa. Material World Project.